I wrested with the idea of coming up with a list for the AGP's favorite releases of the last 10 years. After some serious back and forth, I made the decision that the last thing we need is another list. Instead we will feature some of the albums that have made a lasting impact on us. These are the albums that we told our friends to buy, annoyed our spouses with, and ultimately inspired us to launch this blog. From now until the end of December The AGP will feature our favorite albums of the decade. Each week we will feature posts highlighting our favorite albums of the 00's. We will even have a few contributions from the AGP's extended family. We invite your comments, we want to know why you agree with us or perhaps why you think we're off our collective rockers. We hope you'll join us as we take a look back at the albums that shaped the past 3,653 days our lives. On January 24, 2006 Robert Pollard released From A Compound Eye, his first with then new label and indie powerhouse Merge Records. Sure Bob had released solo albums throughout his career fronting Guided By Voices, but From A Compound Eye was the first album he released since dissolving the band he fronted for over 20 years in 2004. Gone were the expectations of the next GBV album, he was now able to record what,when, and with whomever he wanted. From A Compound Eye is the double album that he had been threatening us with for several years. The 26 tracks found on the album are a mix of new compositions and a handful of unreleased tracks. Pollard described the album as "Massive...epic..It's all over the place and sees in all directions at once." That's a pretty fair description, the album has it all. From the GBVesque guitar pop of I'm A Widow to the skewed folk of Fresh Threats,Salad Shooters,and Zip Guns to the prog-rock of Conquerer of The Moon, to the noisy sound collage of Kensington Cradle. From A Compound Eye features a revitalized Robert Pollard delivering a monumental rock record. From A Compound Eye still sounds as fresh, experimental, and fascinating as it did when it was released. It's no accident that I waited till New Year's Eve to feature it. It's hard for me to write about Bob and contain my total fandom of everything Pollard, So I'll try to temper my enthusiasm. 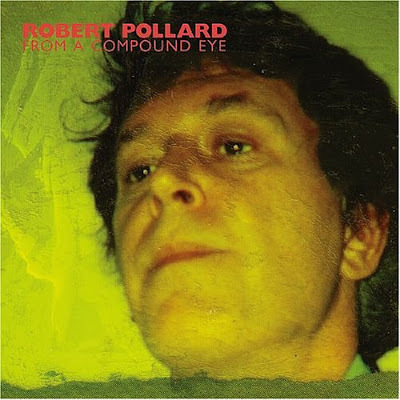 From A Compound Eye is Robert Pollard exhibiting his tremendous gift for song craft, experimentalism, and the almighty pop hook. A flawless record that rivals Pollard's best work and an absolute joy to listen to. I got my introduction to The Mountain Goats in early 2002 when the band released All Hail West Texas on Emperor Jones. A superb 14 song collection of John Darnielle at his lo-fi best. It was also the last album by The Mountain Goats to be recorded on Darnielle's Panasonic RX-FT500 Boombox. In November The Mountain Goats went on to release Tallahassee their 2nd album of 2002 and their first for the legendary indie label, 4AD. Tallahassee was recorded at Tarbox Studio in Cassadaga, NY with John Darnielle sharing recording, mixing, and production credits with Tony Doogan (Belle & Sebastian/Mogwai). The album also features past Darnielle collaborators, Peter Hughes and Franklin Bruno. As a result The Mountain Goats sound more like a band unit than ever before. The full band arrangements and the expensive studio did not take any of the unpolished charm out of the Tallahassee, in fact the expanded instrumentation and full production brings something new to the table. Tallahassee is a concept album about a dysfunctional couple, A couple who share a life of love, anger, bitterness, and alcohol. A couple that stays together out of spite, or as Darnielle sings on Internatiional Small Arms Traffic Blues: "My love is like a powder keg /in the corner of an empty warehouse/somewhere outside of town/about to burn down." 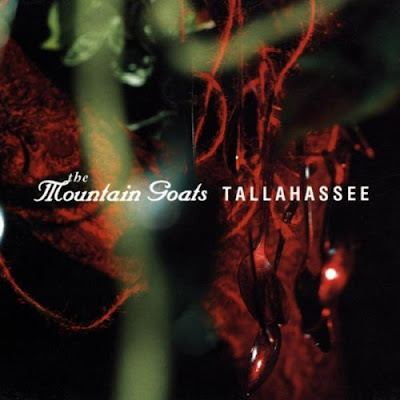 As far as I can tell John Darnielle isn't capable of writing a bad song, and nowhere is that more evident than on the 14 tracks of Tallahassee. An album I go back to frequently and it still chills me to the bone. The record transcends you into the messy world of this couple, hanging on to each other by a thread. It's as dark as it is beautiful.Tallahassee is an absolute classic. When I got the news on Christmas that Vic had died from an overdose of muscle relaxants I was saddened and shocked by the horrible turn of events that ended the life of one of Americas most vital artists. 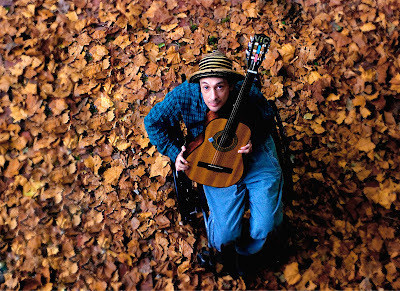 I immediately thought back to the first time I heard the music of Vic Chesnutt. I was visiting my brother at his then South Boston apartment and he was playing 1991's Michael Stipe produced, West of Rome and I was immediately taken by Vic's music and his dark lyrical wit. Since that fateful day, I have followed Vic's career, from the major label debut, About to Choke to the two stellar records he released on Constallation, North Star Deserter and this years At The Cut. I consider myself extremely lucky to have been able to have seen Vic live, at various stages of his career and each show was equally as powerful and impassioned as the next. 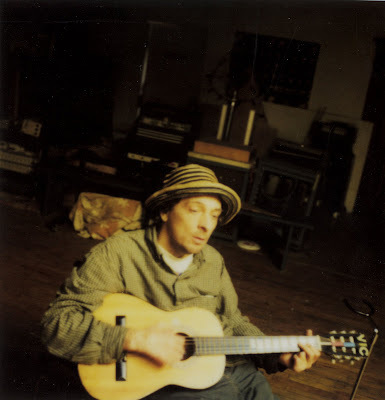 However the first time I saw Vic Chesnutt was in the fall of 1994 at the Paradise and that's the show I've been thinking about over the last few days since getting the news of Vic's passing. To say he was on top of his game that night would be a major understatement. What came out of that man on stage was mind blowing. After a while you saw past his physical disability and saw Vic for what he truly was, the genuine article. Vic, I hope you finally found the freedom and peace you were looking for. RIP. Please make a donation to the Chesnutt family to help with the costs associated with his hospitalization and death. Kristen Hersh is taking donations for Vic's family to assist with the costs associated with his recent hospitalization and death. 100% of all donations will go directly to Vic's family. Kristen has also posted a beautiful and heart wrenching letter about her friend and colleague at Kristen Hersh/Cash Music. What this man was capable of was superhuman. Vic was brilliant, hilarious and necessary; his songs messages from the ether, uncensored. He developed a guitar style that allowed him to play bass, rhythm and lead in the same song — this with the movement of only two fingers. His fluid timing was inimitable, his poetry untainted by influences. He was my best friend. I never saw the wheelchair—it was invisible to me—but he did. When our dressing room was up a flight of stairs, he'd casually tell me that he'd meet me in the bar. When we both contracted the same illness, I told him it was the worst pain I'd ever felt. "I don't feel pain," he said. Of course. I'd forgotten. When I asked him to take a walk down the rain spattered sidewalk with me, he said his hands would get wet. Sitting on stage with him, I would request a song and he'd flip me off, which meant, "This finger won't work today." 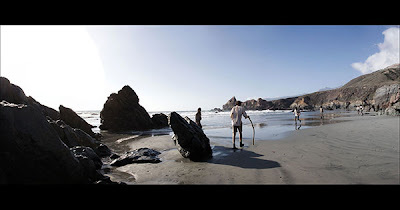 I saw him as unassailable—huge and wonderful, but I think Vic saw Vic as small, broken. And sad. I don't know if I'll ever be able to listen to his music again, but I know how vital it is that others hear it. When I got the phone call I'd been dreading for the last fifteen years, I lost my balance. My whole being shifted to the left; I couldn't stand up without careening into the wall and I was freezing cold. I don't think I like this planet without Vic; I swore I would never live here without him. But what he left here is the sound of a life that pushed against its constraints, as all lives should. It's the sound of someone on fire. It makes this planet better. And if I'm honest with myself, I admit that I still feel like he's here, but free of his constraints. Maybe now he really is huge. Unbroken. And happy. The small staff at The Ash Gray Proclamation we would like to wish you all a very Merry Christmas. We've offered up three of our favorite holiday tracks courtesy of Sufjan Stevens, Shane MacGowan and The Popes, and The Hush Now. We return early next week to finish up our Closing out The Decade feature and we'll also be unveiling our best of 2009 list shortly. ( ) with the intricate beauty of Agaetis byrjun and delving headlong into pop structures with songs you actually could sing along to, after carefully deciphering Jonsi's lyrics. Don't get me wrong the songs on Takk... are slow building epics that fall within the six or seven minute mark, but there is a quiet confidence that the band conveys on Takk... that seemed absent on their earlier releases. As a result this album is a bit more welcoming than it's predecessors, but no less stunning. 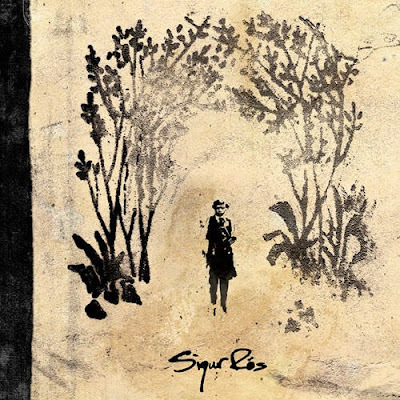 With their fourth album Sigur Ros proved once again and maybe like never before that they are as gifted as they are unconventional. I was already drinking their Icelandic Kool Aid by the time Takk... burrowed it's way into my brain in 2005 and the friends that I hadn't converted with their previous output were about to stop taking my calls and e-mails or they would succumb to the magnificence of Takk. Luckily for all involved it wasn't hard to hear what I was going on and on about once they gave Takk... the attention it deserved. The word masterpiece gets tossed around pretty freely these days but this record meets the criteria on every level. After the demise of Creation Records in 1999 Super Furry Animals singed a deal with Sony Music that would afford them a major label budget and the expansive resources that would allow them to follow up the experimental Guerrilla with an equally as adventurous and song driven recording. On July 23, 2001 Super Furry Animals released Rings Around The World throughout the U.K . and Europe simultaneously on CD and DVD album. Unfortunately it took several months for the record to make it's way to the U.S., but on March 19th 2002 the album finally dropped here in the states courtesy of XL/Beggars Group USA and it turned out to be well worth the wait. Fans and critics alike hailed Rings as the finest record of the bands career. The ambitious Rings Around The World was recorded in two locations between April and September of 2000, Bearsville Studio, NY and Monnow Valley Studio in Manmouthshire, Wales with the band co-producing the sessions with Chris Shaw. Rings Around The World is a varied record that alternates between electro punk, trip hop, and classic pop. For my money the material found on the album are some of the bands finest recorded moments and it's the their most consistent from top to bottom. From Alternate Route To Vulcan Street to the albums somber closing number Fragile Happiness and everything in between, this record found the Furries at the peak of their many powers. I recall the summer of it's release quite fondly, as that was the summer my wife and I had just purchased our first home and we were expecting our first child. As any expectant mother that's suffered through a hot August will tell you, the summer is no time to be with child. So when Rings Around The World dropped into my lap at pretty exciting time in my life, it provided the perfect soundtrack for those late night ice cream runs or late night painting sessions. I'm pretty sure my oldest son could sing you a good portion of It's Not The End Of The World if put to the test. 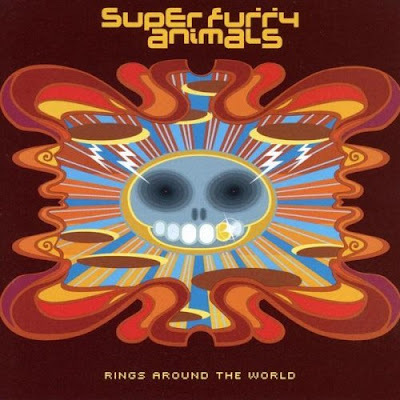 With Rings Around The World, Super Furry Animals turned out an eclectic and timeless record, it's also a whole lot of fun to listen to. While SFA have continued to impress with each and every release, Rings Around The World stands as the bands high water mark and an unabashed pop opus. Recorded on December 2nd when Sloan stopped by The Big Takeover radio show, hosted by Jack Rabid at Breakthru Radio in Brooklyn. The first video from this session has just been made available and features Andrew Scott performing Where Are You Now?, from the the bands excellent new five song EP, Hit and Run. I've been so focused on wrapping 2009 I nearly forgot about all the fine releases we have to look forward to in the first few months of the new year. Here's s a look and listen at some of those albums I'm anxiously awaiting, with MP3's. On January 26th Los Campesinos! will release Romance is Boring on Arts and Crafts. The albums 15 tracks were recorded with John Goodmanson in Manmouthire UK, Seattle, and Connecticut. In a recent press release issued by Arts and Crafts, the bands label is urging fans to leave all preconceptions at the door,"it's a record that's bigger, deeper, more complex and more direct than anything Los Campesinos! has recorded to date." Personally I can't wait to hear it in it's entirety, for now you can check out the two tracks the band has made available over the past couple of months. Liars will make their return on March 9th with the release of their 5th album, Sisterworld on Mute Records. Sisterworld was written and recorded in Los Angeles with Tom Biller. Liars have just issued the albums opening track Scissor for download at theSisterworld . All they ask in return is your e-mail address. It starts out all quiet and innocent and then it proceeds to blow your head off. I've been hearing rumblings from the west coast about the possible return of former Beulah front man Miles Kurosky for some time now. A new song was posted in the spring of 2008, but since then it's been pretty quiet. Well it appears it's finally official, according to various sources including antimusic Miles will release his solo debut, The Desert of Shallow Effects on March 9th via Majordomo , an imprint of Shout!Factory. Produced by Kurosky and engineered by his former Beulah band mate Eli Crews,The Desert of Shallow Effects features over 20 musicians including several ex-members of Beulah. Look for Miles Kurosky on tour this spring after the albums release. 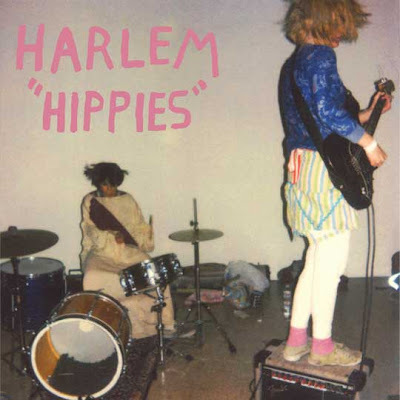 On April 6th Austin, TX's Harlem will release their Matador Records debut. The 16 song, Hippies was recorded with Mike McHugh and will serve as the follow up to the excellent Free Drugs LP, released earlier this year on Female Fantasy. While we wait for winters thaw and album #2 from Harlem, the bands new label have offered up Friendly Ghost at the Matablog to hold us over. It's a fantastic dose of their rough around the edges pop. For frequent readers the inclusion of Guided By Voices to this segment should come as no surprise. The question should be, what took me so long? Let's just say this is the first but possibly not the last time you will hear about a Robert Pollard fronted project on Closing Out The Decade, a look back over the last 10 years of the music that inspired us here at The AGP. Universal Truths and Cycles is a return on many levels. A return to the lo-fi/mid fi wizardry of the bands early output, a return to the Matador stable after two fine releases with TVT, and a return to Pollard taking back the control over production. The results proved to be GBV's finest recording since the holly trinity of Bee Thousand, Alien Lanes, and Under The Bushes, Under The Stars. After recording there two previous records with big name producers, Ric Ocasek and Rob Schnapf respectively, Robert Pollard took back production control by self producing Universal Truths and Cycles with Todd Tobias. Tobias, a member of Pollard 's experimental outfit Circus Devils would go on to produce two more GBV albums and pretty much everything Pollard has released since then. Universal Truths and Cycles was recorded at Cro-Magnon in Dayton and at Waterloo Sound in Kent, OH. The album was released on June 18th, 2002 by Matador. Prior to the albums release Matador issued a press release in which they described the record: The big story with ‘Universal Truths And Cycles’ is that it melds old and new GBV approaches to spectacular effect. Wire Greyhounds sets the tone for the album as the bands charges through 35 seconds of guitar bashed prog-punk. From there what follows is a sharp and focused record and one's that has aged incredibly well due to the sheer quality of the material found on GBV's 13th long player. Universal Truths and Cylcles is Pollard's strongest batch of tunes in the final stage of Guided by Voices long and beer soaked career. With tracks like Christian Animated Torch Carrier, Pretty Bombs, Storm Vibrations and the ultra catchy Back To The Lake UTAC stole my attention, but it was the shorter songs on the record like Zap, The Weeping Bogeyman, and The Factory of Raw Essentials that hold the record together. 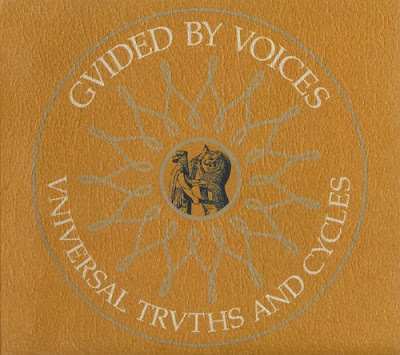 For me the sign of great record is if you can listen to it over and over and manage to find a new favorite song each time, Universal Truths and Cycles is that kind of record. If you ever liked GBV even in a little you owe it yourself to hear one of the decades truly remarkable recordings. Buy Universal Truths and Cycles at the Matador Store. To say this record took me by surprise is a bit of an understatement. I had my first taste of Deerhunter in 2007 with the release of the bands excellent 2nd album Cryptograms, a record full of instrumental psych rock jams and reverb drenched post punk. I was pretty much hooked on Bradford Cox and Co. So in 2008 when Microcastle/Werid Era Cont. popped onto my radar I immediately grabbed it. What I found was one of the most innovative and rewarding listens of the decade. Deerhunter's third album Microcastle/Weird Era Cont. was released by Kranky in the U.S. and 4AD in the U.K., on October 28th 2008. The album(s) were recorded at the Rare Book Room in Brooklyn, NY by Deerhunter's four core members Cox, Lockett Pundt, Joshua Fauver, and Moses Archuletta. 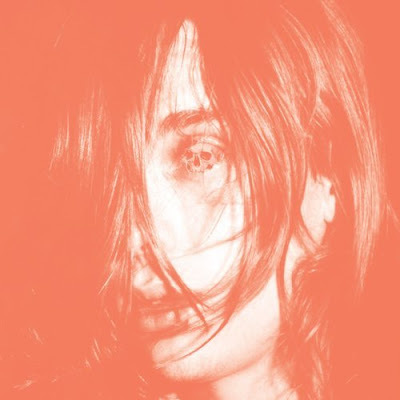 If Deerhunter had raised the bar with Cryptograms, they obliterated it with Microcastle/Werid Era Cont. It's a much cleaner sounding record than both it's predecessors, with hints of 50's/60's Motown, shoegaze, and krautrock. The album opens with Cover Me (slowly), a minute and twenty two seconds of claustrophobic washed out guitars that build into the chilled out Agoraphobia. From there the Atlanta band weaves through songs of confusion, loneliness, and the fractured human spirit. Somehow it sounds more like a celebration than a funeral march. I was approaching my late 20's when OK Computer was released and subsequently spoke to a generation about being alone in the computer age and Microcastle /Weird Era Cont. struck me on a similar level thematically. Cold isolation in the new millennium has never sounded so good. I still find myself alternating between the two discs, the cleaner Microcastle and the more experimental psych rock of Weird Era Cont. It's a battle that I have from time to time, which one is better? It's also a testament to the music of Deerhunter, especially since Weird Era Cont. is an outtakes/b-sides album. That fact is astounding considering the quality of the tracks found on it. This was one of record I immediately thought of when I decided to take this segment on, and one that never gets old, I mean ever. How Dearhunter follows up an album as good as Microcastle/Weird Era Cont. is anyones guess, but one thing is clear in the fall of 2008 they released a timeless document of guitar squall, ambient soundscapes, and masterful pop hooks. Hallelujah The Hills - Have You Ever Done Something Evil?